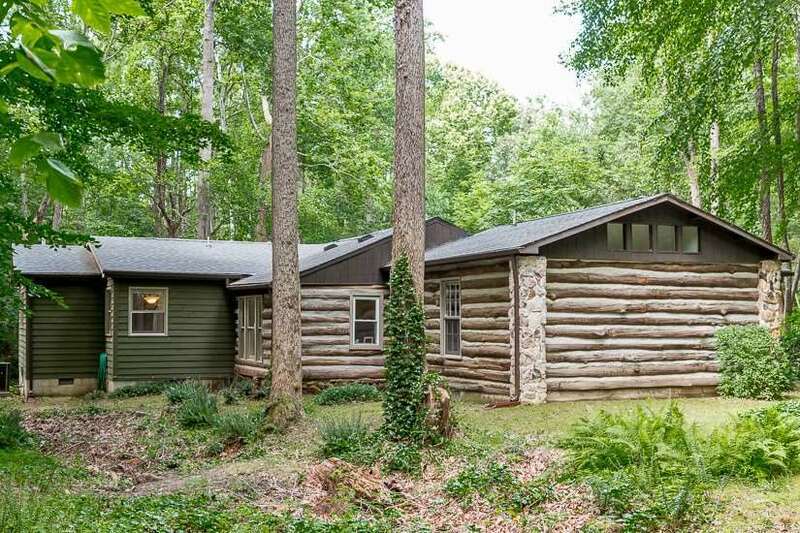 Over the stream and through the woods you will find an enchanting log and cedar home on 5.99 acres. BEAUTIFULLY MAINTAINED! Year 'round living,small stream, firepit,three outbuildings, 1/2 mile walking trail. Upgrades: new guttering with leaf-guard,Kinetico water softener,new hot water heater,new insulation in the attic and crawl space, new composition shingle roof and ridge vents, smoke detectors, new SVEC electrical entrance and panel box, handsome swing set. Seller has not used fireplace, previous owner used with gas logs, sold "as is", the trail is inviting! BRIGHT kitchen with island, breakfast area, dining room with greenhouse window, stone fireplace in living room, screened-in porch off , lots of storage, peace and quiet. Call today!